Bertha Caceres, former coordinator of the Committee of Relatives of Detained and Disappeared in Honduras. The murder of environmental activists has reached unprecedented levels throughout Latin America – and nowhere is this more pronounced than in the Central American nation of Honduras. Since Honduras’ government was overthrown in 2009 in a coup backed by the Clinton-led State Department, the industry-friendly government that came to power is cracking down on local activism by any means necessary. Berta Cáceres,a slain environmental justice activist, was the winner of the prestigious Goldman Environmental Prize. However, her international prestige and recognition did not prevent her from being gunned down in her own home last year. A new investigation published by the UK Guardian has found that the nation’s U.S. trained special forces have been directly linked to her brutal murder. Citing leaked court documents, the investigation found that Cáceres’ assassination was an extrajudicial killing planned by military intelligence specialists. Eight men have been arrested in connection with Cáceres’ death, including one active-duty and two retired military officers. Two of them – Maj. Mariano Díaz and Lt. Douglas Giovanny Bustillo – were trained at the infamous School of the Americas. The school was expelled from Panama in 1984 and relocated to Georgia. In 2001, it underwent a “cosmetic” name change and is now known as the Western Hemisphere Institute for Security Cooperation (WHINSEC). Though the U.S. military insists that SOA/WHINSEC is dedicated to preserving human rights, the training manuals used at the facility tell a different story. In 1996, bowing to public pressure, the Pentagon reluctantly released training manuals that had been used at SOA. The manuals expressly advocated torture, extortion, blackmail, and the targeting of civilian populations. 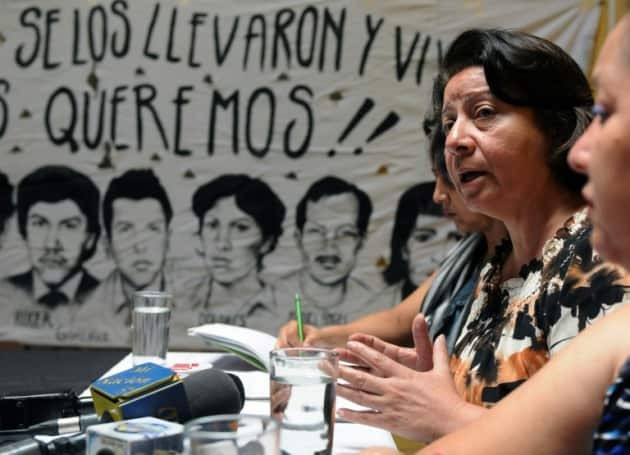 Most of the eight people detained in connection to Cáceres’ murder have ties to either the Honduran military or Desarrollos Energéticos SA (DESA) – the company behind the Agua Zarca dam, which Cáceres opposed at the time of her death. DESA itself has extensive military and government links. Its president, Roberto David Castillo Mejía, is a former military intelligence officer, while its secretary onced served as justice minister. Bustillo, one of the men trained at SOA and now suspected of murdering Cáceres, was DESA’s head of security from 2013 to 2015.